Surgeon General's October Message: September is Veggies Month! The official website of the Surgeon General of the United States has nothing to say about Ebola prevention and detection, other than an old press release about relief efforts in Liberia. Instead, the lead story is: “September is Fruits & Veggies–More Matters Month!” The date displayed on the website as of this writing is October 1. 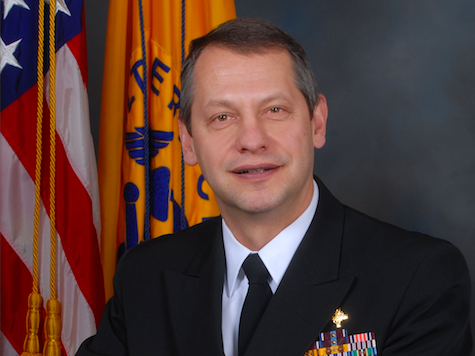 The current Acting Surgeon General is Rear Admiral Boris D. Lushniak. The position is not one the Obama administration seems eager to fill quickly, despite Democrats having removed the Senate’s filibuster powers with regard to presidential appointments. Meanwhile, public confusion about how to deal with Ebola persists. Senior Editor-at-Large Joel B. Pollak edits Breitbart California and is the author of the forthcoming ebook, Wacko Birds: The Fall (and Rise) of the Tea Party, available for Amazon Kindle.